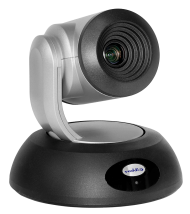 RoboTRAK expands Vaddio’s technology leadership in automated presenter tracking systems for higher education, corporate training departments and teaching environments. Based on an IR tracking algorithm, an instructor simply wears a lanyard and the RoboTRAK follows the instructor. 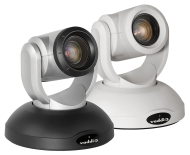 Paired with any RoboSHOT camera, the RoboTRAK sends its pan/tilt info to create production-worthy video – all without an operator. Operational distance ranges from 12 to 50 feet (3.5 to 15 meters) and within the height range of 7 to 15 feet (2 to 4.5 meters). 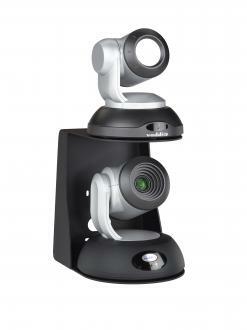 The RoboTRAK auto tracking camera pairs with any RoboSHOT camera. 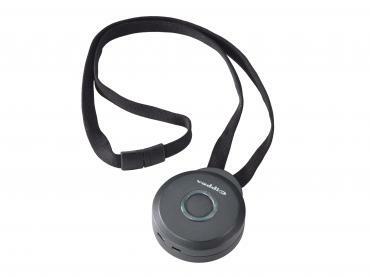 The RoboTRAK lanyard worn by instructors lasts up to 40 hours on a single battery charge. 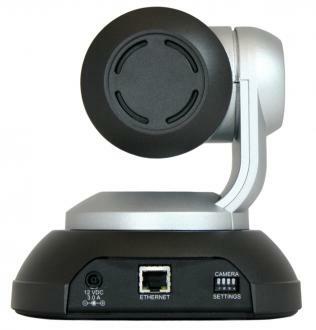 Optimized for large venue classrooms, RoboTRAK makes intelligent tracking easy. RoboSHOT Video Camera is not included with system. RoboTRAK is compatible with all RoboSHOT cameras, except the RoboSHOT IW. Because RoboTRAK is an infrared-based system, environments with intense heat sources or highly reflective surfaces (such as kitchens) pose special installation challenges. Consult your sales representative if you are considering a tracking system for this type of environment. RoboTRAK Lanyard IR tracking lanyard for the RoboTRAK system. 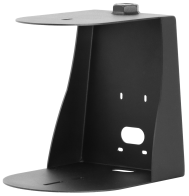 RoboTRAK Double Decker Wall Mount Replacement mount for RoboTRAK systems. Please note: This mount is included with purchase of RoboTRAK system.